The arrival of autumn, and especially this Thanksgiving weekend, is always a time of beginnings and endings: perfect for reflecting on our successes and preparing for the challenges to come. 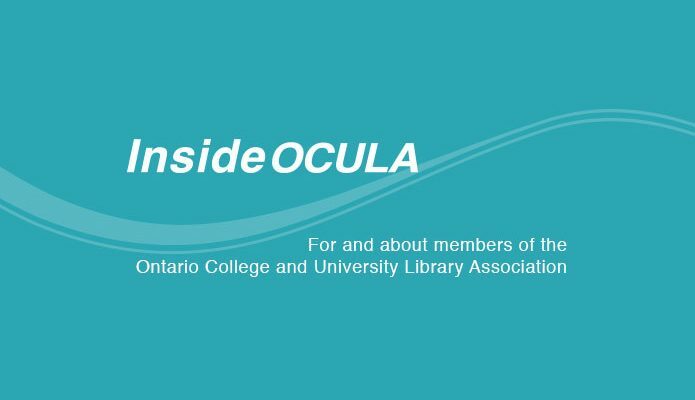 This issue of InsideOCULA, which celebrates library projects both old and new, captures the spirit of fall. Melanie Parlette-Stewart’s third President’s Column makes some resolutions for the new academic year, and urges us to take a step back from the stresses of the fall semester. She advises us to focus on how we keep ourselves productive and happy in the long run: managing our time and projects better, addressing workplace-related stress, and building relationships that can last for years. It seems natural that library users with print disabilities should have easy access to accessible content, but implementation on the ground can become complicated. In Paper covers rock: how the Marrakesh Treaty can move Canadian libraries out of the Stone Age, Corinne Abba and Heather Burnett explain how an international agreement helps us meet the needs of our diverse users, and answer some basic questions about creating and using accessible copies of texts. Continuing this theme, in Driving towards conformance: a WCAG 2.0 field trip, Aneta Kwak, Mariana Jardim and Mark Weiler take us on a whirlwind tour of guidelines, tools, and strategies to improve the accessibility of web content. What happens when a weeding project gets creative? Dwayne Collins takes us through the planning and implementation process as the Trent Library donates 250,000 monographs to Open Library, allowing Trent students and others continued access to deaccessioned materials representing 50 percent of its former collection. Finally, Melanie Parlette-Stewart announces two new ways that academic librarians can collaborate and learn from experts through the OCULA Free Webinar Series and Journal Club. We hope you enjoy reading about these exciting projects happening across our province, and are inspired to take action at your own workplace. InsideOCULA will return for another issue in December. 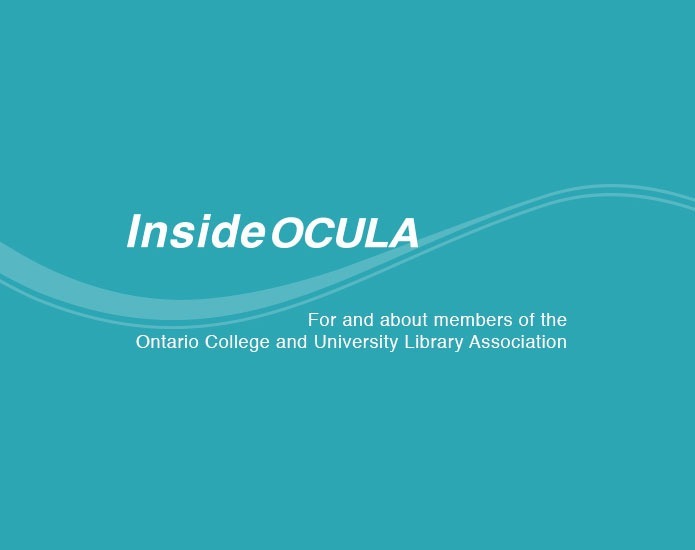 Rob Makinson is an editor for InsideOCULA. He can be reached at hreodbeorht [at] gmail.com.